Set in the heart of Kenton and 8 miles away from Exeter, The Old Vicarage offers spacious rooms with free parking on site. Motorway A379 is only a 1-m.. Ideally located in Kenton, in rural Devon, the Mill Farm offers bed and breakfast accommodation, en suite guest rooms and free WiFi throughout. This 4.. Featuring free WiFi and city views, Biscay is a holiday home, located in Kenton. The property is 19 km from Torquay and free private parking is offere..
Trafalgar is a holiday home with a barbecue, set in Kenton. The unit is 19 km from Torquay, and guests benefit from free WiFi and private parking avai.. Featuring free WiFi and city views, Finestere is a holiday home, set in Kenton. The unit is 19 km from Torquay. The kitchen has an oven, a toaster an.. Situated in Kenton in the Devon Region, this holiday home is 19 km from Torquay. The unit is 12 km from Exeter, and guests benefit from free WiFi and ..
Set in Lympstone in the Devon Region, this holiday home is 21 km from Torquay. 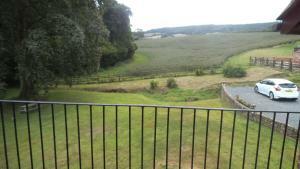 The property is 11 km from Exeter and boasts views of the city. 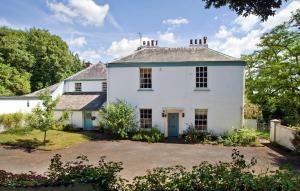 An ove..
A 10-minute drive up the coast from Exmouth, Riverdown offers bed and breakfast in Exton, south Devon. In a pretty, secluded location with views acros.. 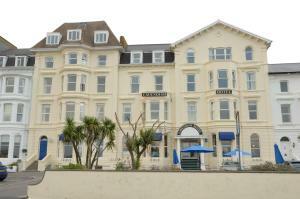 Situated on the Exmouth seafront, the Ash Hotel bed and breakfast is around a 5-minute walk from Exmouth Rail Station. Buses can be caught metres from.. 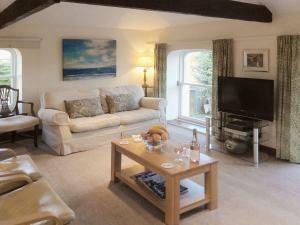 Located 24 km from Torquay, Church Stile Cottage offers accommodation in Exminster. It provides free private parking. There is a dining area and a ki.. 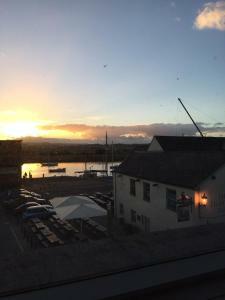 Located in Topsham, Route 2 Steam Packet Apartments offers self-catering accommodation with free WiFi access throughout. The property is situated 3 km.. Situated 5 minutes’ walk from Exmouth’s town centre, marina and seafront, The Dolphin Hotel Exmouth Ltd has limited on-site parking and free Wi-Fi.. Ideally situated on The Esplanade, overlooking Exmouth's golden sandy beaches, Cavendish Hotel offers en suite accommodation, free Wi-Fi and free park..
Set in Exmouth, this holiday home is situated 4.3 km from Powderham Castle. It provides free private parking. The kitchen comes with an oven and a to..
An elegant Victorian landmark, The Imperial Hotel lies in 4 acres of grounds on Exmouth’s Esplanade, with beautiful views of the south Devon coast. ..